Peter loves baseball, possibly more than anyone I know. We grew up playing, watching, and talking about baseball all summer long. 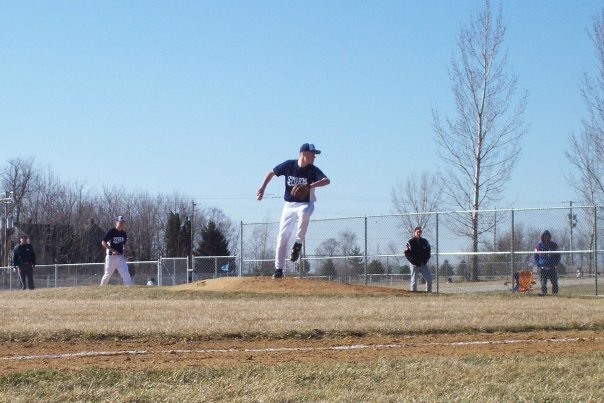 Throughout most of our baseball career, I played third and Peter played first. Crede to Konerko (or Bryant to Rizzo?). Peter enjoys the Cubs, players with high OBP, and announcers not named Hawk Harrelson. He is a graduate of the University of Illinois and still resides in Champaign, IL. He's the best twin brother a guy could ask for. Follow his insightful Twitter thoughts here. It's somewhat of a miracle that I convinced Paul to do this website/podcast thing with me back in April of 2015. So, I'll avoid saying anything remotely negative in his bio. Paul is a White Sox fan. He is also an avid reader. His baseball career includes a great year in 2007, when he claims to have hit over .500 on our high school JV team (#roids). I'm always excited to hear (and read) his baseball thoughts, which tend to be more grounded than mine. Like me, Paul is a graduate of the University of Illinois (it did take him one semester longer than me, but who's counting). He also still lives in Champaign with his wife, Kate, and their son, Benson. After years of stubborn boycotting, he finally joined the Twitter ranks in 2014, so go follow him. Back in April of 2015, we gave a more in-depth explanation of "A Foot In The Box" on our first podcast episode (web, iTunes), so check that out if you're interested. To sum up what we said there, "A Foot In The Box" is a way for us to talk about the great game of baseball with each other and invite you in on that conversation. Our weekly podcast, which ranges from 40-80 minutes, has regular segments, but we also try to mix it up with guests, new ideas, and of course, friendly brother bickering. The name for the podcast originated from MLB's re-emphasis on the preexisting rule that a batter must keep one foot in the batter's box between pitches before the 2015 season. It's also a way to sum up our purpose; A Foot In The Box will never be a baseball all-you-can-eat buffet. Instead, we hope to provide quality over quantity. We're more like Culver's and less like McDonald's. Alright, I think this analogy is dead. Feel free to interact with us on Twitter: Paul, Peter, AFITB. Baseball is better when you do it together (too cheesy? ).